received the master’s degree (Dipl.-Ing.) in 1972 and the Ph.D. degree (Dr.-Ing.) in 1979 both in electrical engineering, and both from Aachen University of Technology, Aachen, Germany. In 1972 he joined the Institute for Electrical Engineering and Teleprocessing, Aachen University of Technology, where he worked as a PhD researcher on distributed simulation techniques of queuing networks with multiprocessor systems. From 1980 he worked in the basic development department of Philips Communication Industries (PKI) in Nuremberg, Germany. There he built up a group doing applied research in performance evaluation of communication networks, traffic and protocol engineering. In 1994 he became full professor at Technische Universität Dresden (Dresden University of Technology), and head of the Chair for Telecommunications. He has authored and co-authored more than 160 papers in performance evaluation of communication networks. Together with two PhD students, he has written a Wiley book on Broadband Powerline Communications networks focusing on the MAC layer performance. He has served as editor-in-chief of the Elsevier Int. Journal of Electronics and Communications (IJEC, formerly AEÜ) from 2002 to 2016. He is member of VDE (German Society of Electrical Engineers) and ACM. He has served as a board member of the German Information Technology Society (ITG) in 2000-2006. 2004-2008 he has been a principal reviewer (Fachkollegiat) for Deutsche Forschungsgemeinschaft on the topical area of communication networks. He is a member of the special interest group 5.2.1 ‘System Architecture and Traffic Engineering’ of ITG since its start in 1983, where he served as speaker from 1998 until 2011. 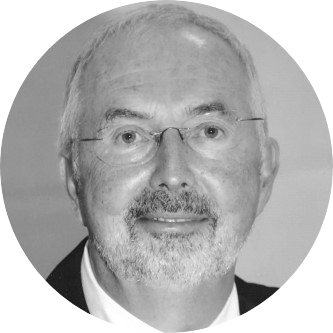 He is long-term member of the GI/ITG board ‘Measurement, Modeling and Evaluation’ (MMB), and founding member of IEEE TC-PLC. He has been TPC co-chair for ITC18, held 2003 in Berlin, and conference chair for PGTS 2000, MMB&PGTS 2004, IEEE ISPLC 2009, ICC 2009 CQRM co-chair, and EUNICE 2011 all in Dresden. He has organized a symposium on PLC at Globecom 2011. He has been TPC co-chair for ISPLC 2012 in Beijing. In 2017 he served as conference co-chair and organizer of IEEE SmartGridComm 2017.